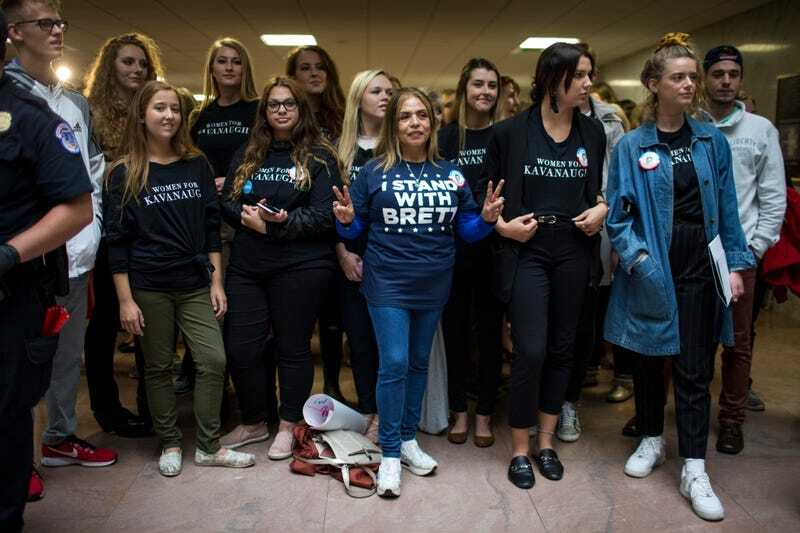 White People Are Divided Over Kavanaugh. Black People Aren't. In newsrooms across the country, political reporters and pundits are trying to read the tea leaves on what’s in store for Supreme Court nominee Brett Kavanaugh in the wake of multiple allegations of sexual assault and misconduct and accusations that Kavanaugh lied multiple times under oath during last week’s Judicial Committee hearing. At their disposal are several polls—some of which have been covered and analyzed breathlessly. One such poll is the Quinnipiac poll, released earlier this week, which asks voters questions like whether they believe Kavanaugh should sit on the Supreme Court, and whether he or his accuser, Dr. Christine Blasey Ford, is more believable. Here’s what you’ll find if you read those articles: CNN reports that 48 percent of voters say they tend to believe Ford, while 41 percent believe Kavanaugh. The Washington Post busted out the graphs, showing the difference in how Republicans and Democrats, men and women, felt about Kavanaugh in the past month. “The big change ... was among women,” the Post concluded. Because what neither of these write-ups mention—what virtually no mainstream coverage of that poll mentioned, despite Quinnipiac highlighting it in their own summary of the data—is that there were steep racial divides in how people viewed Kavanaugh. Not black women. And, as the numbers suggest, not Latinas either. And to suggest otherwise—to erase women of color or absorb them into this narrative—is incorrect. But this is, unfortunately, not uncommon in political reporting. Another Washington Post article from Sunday noted that the White House Press Room is overwhelmingly white, though it didn’t detail precisely how that whiteness affects coverage. And while this may seem like a niche issue–something that affects and concerns primarily journalists of color or people who live and breathe political reporting (God help them)—it isn’t. As we see with the Quinnipiac poll, an inability to look at racial dynamics, whether it be through benign ignorance or outright reluctance, affects the stories we tell. It also affects the credibility and accuracy of the stories we tell, which is to say, you simply can’t get quality coverage of American politics without it. White people are divided over Kavanaugh; black people aren’t. And not to acknowledge that fact or probe the reasons why is a journalistic disservice.